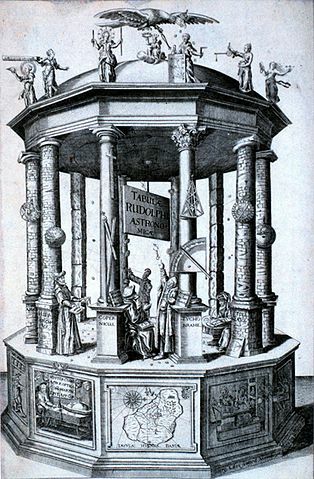 The Rudolphine Tables were the most accurate record of the motions of the stars and planets, originally observed by Danish astronomer Tycho Brahe and published later by astronomer Johannes Kepler. Brahe's observations were many times more accurate than any records previously published. These records were used as the basis for further proving Copernicus's heliocentric model of the solar system.